Методика обучения игре на духовых инструментах. Учебное пособие. 1-е изд. The methods described in the book are intended for teaching students the fundamentals of playing the brass orchestra instruments in the amount which is necessary for further work of future teachers and band directors. The course is made for the 3rd and 4th – year students of a music college, who are qualified enough in practical and musical theoretical aspects. The aim of the course is to teach the students working with their future pupils in amateur groups, students’ activity centers, music schools and workshops. 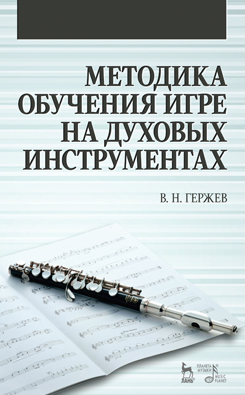 Having attended the course “Methods”, students must know how to teach their future pupils setting the performing apparatus, correct seat, learning easy (and more difficult) scores by themselves, understanding and performing artistic content of music pieces.